Fresno Washer Repair in CA is ready to repair every brand and type of washers. 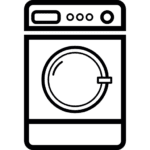 We provide a full examination of your washer and repair every problem of it. Call 559 960 0798 if you need washer repair service in Fresno, CA. Additionally, we have over 15-years of experience in repairing washers. Washer Repair in Fresno provides all the replacement parts in factory conditions. Fresno Washer Repair fixes every washer problem, so do not hesitate to call Fresno Washer Repair, we will help you. We repair every brand and type of washers, some major brand which we repair are in the following list. Furthermore, our technicians are equipped with all the tools to repair washers in a short period of time. Our technicians use only factory genuine parts.